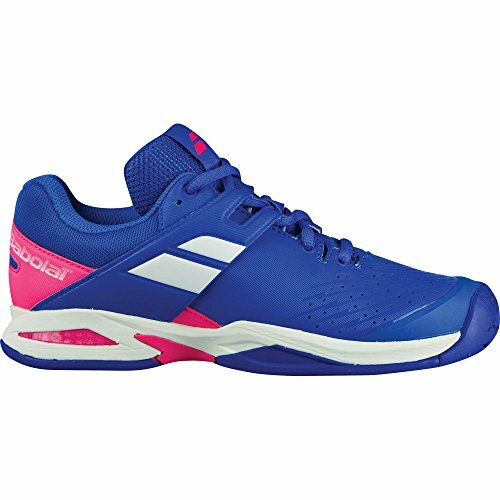 The Babolat Propulse Blast men's tennis shoe offers supportive comfort for tennis players of all levels. This tennis shoe has a lightweight upper with power straps mid-foot for support during lateral moves, a soft Ortholite insole and Kompressor system adds shock absorption and supportive comfort. The Michelin sole adds traction, stability, and durability. Outsole: Premium Michelin outsole with sole specific studs optimize stability for lateral footwork. If you have any questions about this product by Babolat, contact us by completing and submitting the form below. If you are looking for a specif part number, please include it with your message.